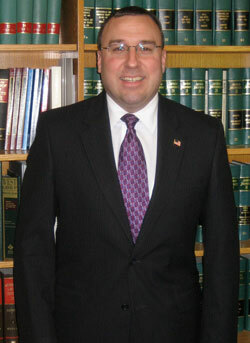 In 1978, Steven Nassau started a law firm with Frank Borowy as Nassau & Borowy. 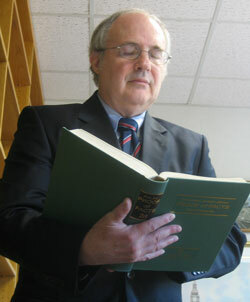 In 1982, David Griffith joined the firm, followed by Amelia Antoinetti in 1983. Attorney Nassau has now retired. In 1985, the firm moved to 66 Cedar Street under the name Nassau, Borowy & Griffith. In 2006, David Griffith and John Kelly, a longtime resident of Newington, created a successor firm to serve the area. John Kelly had practiced outside of Newington, but within the greater Hartford area, and had served on the Newington Town Council for ten years. While on the Town Council, John Kelly helped Newington revitalize and renew the downtown area, keeping a keen eye on the legal affairs involved in that process. David Griffith and John Kelly's strong respect for each other and focus on client communication made the partnership a natural. They formed Griffith & Kelly, LLC, in that year as a firm with a focus on the greater Hartford community and to continue growing the practice. In business and in your personal life, sometimes conflicts happen. The focus of Griffith & Kelly, LLC is to help you to understand all of your legal rights and choices that you have in any conflict so that you can achieve the best results possible. With that understanding, it is your job to make the decision as to how to proceed. We want to be your friend, your ally in any legal matter, whether you are expanding your business, leasing or buying property, negotiating or re-negotiating a lease or any other matter. We will walk you through any process, and explain all of your legal rights and options so that you can negotiate better in your business and personal life. If a conflict should arise, Griffith & Kelly, LLC, is an ally that can take you from negotiation to litigation. You have complete control as to whether you take any options off the table, but if you remove options we will explain how removing options limits your powers of negotiation. We feel that the best way to protect you is to give you as much information as possible so that you can make the most educated decision available to you. Your first consultation is free and we will take the time to explain your options to you so that we can work together for your benefit.